EAB and Stateoforigin.com.au are proud to announce our sponsorship of the Queensland Gridiron team. 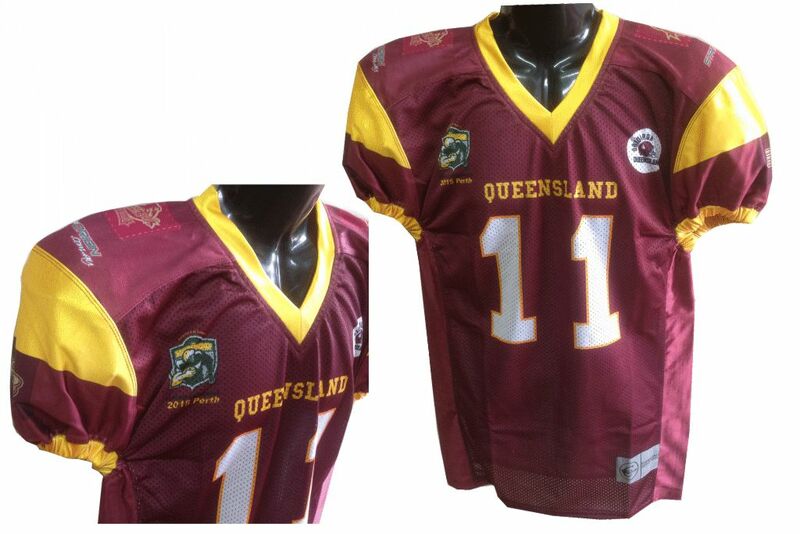 The Queensland team will go to Perth to play and participate in a Gridiron State of Origin competition against Western Australia! You can cheer on the Maroons when they play Western Australia! 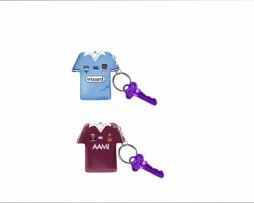 If your team has a State of Origin competition, please let us know – we may look at a sponsorship opportunity as well! 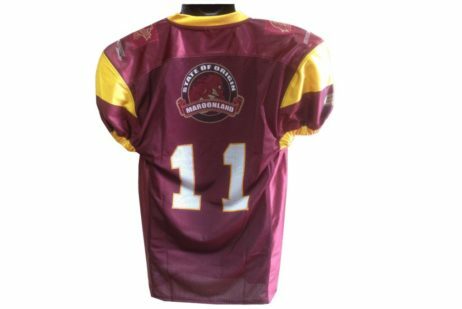 Let us explain the size, these are made to fit over guards and shoulder pads etc, so the size is generally 2 sizes bigger then what you normally wear. 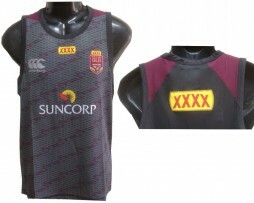 If you are a normal size XL you could purchase size M!,This state of origin product uses state colours of Australia such as Queensland Maroon, Black, White, Grey, Sky Blue, Dark Blue to mention a few! Enjoy are products that we have to offer!,This state of origin product uses state colours of Australia such as Queensland Maroon, Black, White, Grey, Sky Blue, Dark Blue to mention a few! Enjoy are products that we have to offer!